Method: Muddle the fresh mint in a mixing glass, add ice then tequila, lime, simple syrup and grapefruit. Speed shake and pour into a Berlin glass with a salted rim, top with soda water and garnish with fresh mint sprig. 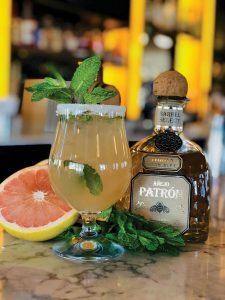 “We chose this drink because the tequila has citrus notes and would go hand in hand with the freshly pressed pink grapefruit, delicate mint and, of course, lime. 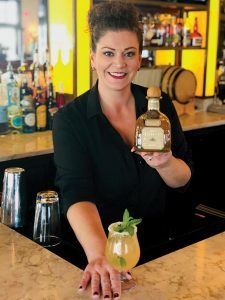 Finishing it with a salted rim and refreshing soda water makes for a delicious spring cocktail,” Meier said.